Daniel is also a qualified Mediator offering fixed-fee mediation services for Family and non-family disputes. 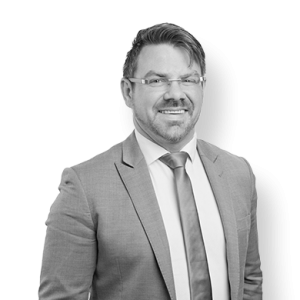 Daniel joined Culshaw Miller Lawyers (formerly Shann Family Lawyers) in March 2009 while studying Law at Edith Cowan University. Daniel completed a Bachelor of Laws in November 2010. Daniel completed further Legal training at the College of Law Western Australia and was admitted to practice in the Supreme Court of WA and the High Court of Australia in August 2012. In April 2010 Daniel participated in The VisEast International Trade Law mooting competition in Hong Kong. Daniel was also a participant in the 2009 Corrs Chambers Westgarth Deans List competition representing Edith Cowan University. In November 2013 Daniel completed became a nationally recognised mediator. He is a member of LEADR, the association of dispute resolvers, as well as member of the Law Society of Western Australia and the Family Law Practitioners Association of Western Australia. Daniel is currently undertaking a Masters in Family Law at the College of Law WA. Daniel has previously volunteered for the Smith Family as Mentor for high school students. When not trying to resolve disputes, Daniel plays Rugby Union for Curtin University and tries to read the occasional fiction book.